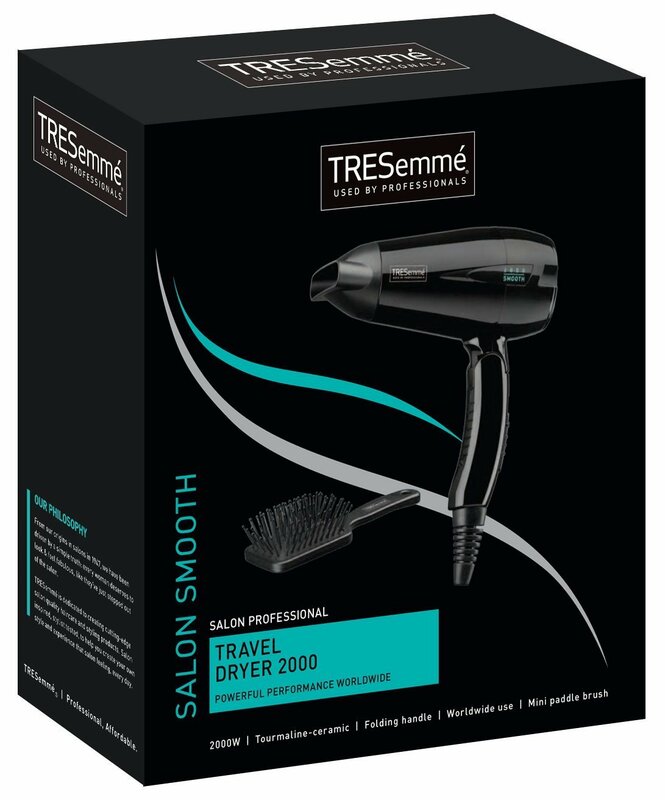 The TRESemme Travel Dryer 2000 gives fast styling results while being compact enough for easy storage when travelling and dual voltage making it suitable for worldwide use. The 2000 W hair-dryer gives fast drying while tourmaline-ceramic technology controls frizz for a smooth, frizz-free finish. 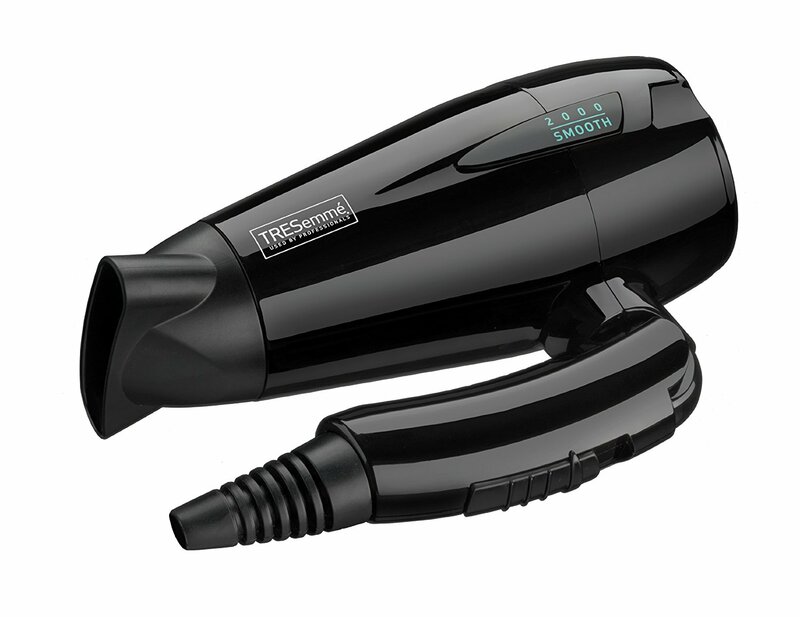 The tourmaline-ceramic grill ensures even heat distribution while two heat and speed settings give optimum drying control. 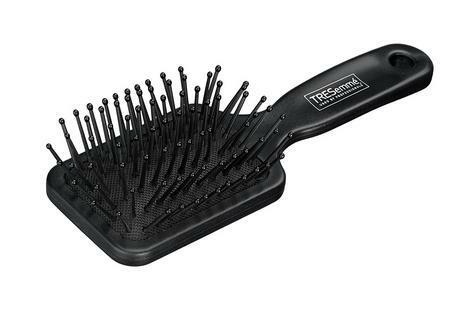 Use the mini paddle brush to remove any tangles from the hair and to help achieve the desired style. To help protect hair during blow-drying use TRESemme Heat Defense Styling Spray and for a super sleek salon result try using TRESemme Salon Smooth Serum on damp hair before styling. 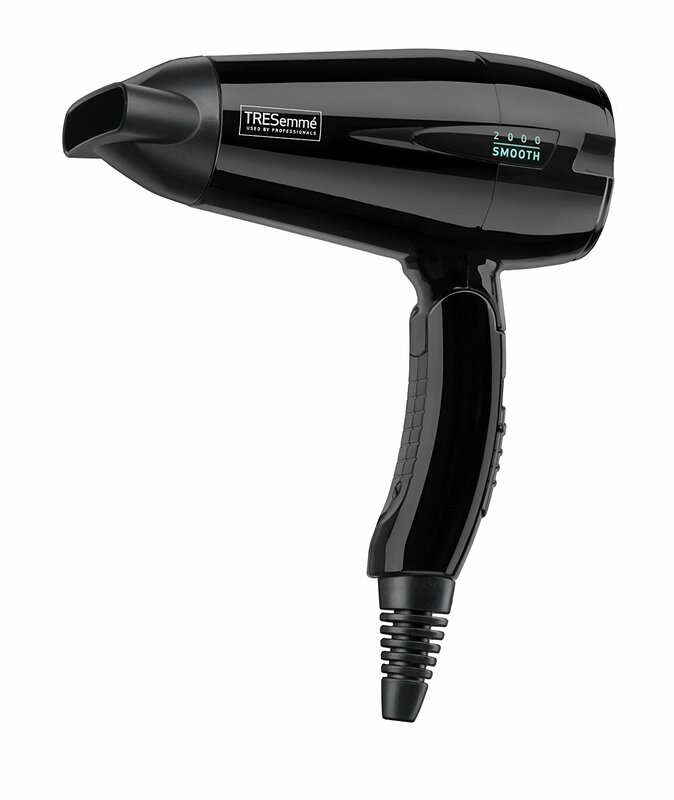 The folding handle for compact storage and multi-voltage for worldwide use make this dryer ideal for travel. The voltage can be adjusted for use at either 125 V or 240 V by selecting the required voltage using the screw on the handle; always ensure the voltage required corresponds with the voltage selected on the appliance. Never use the appliance on any voltage setting other than the voltage specified. 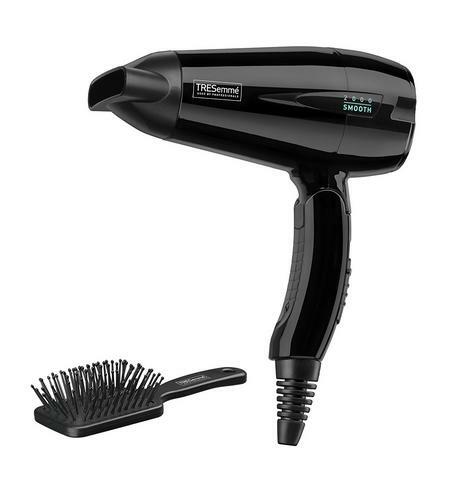 TRESemme is dedicated to creating cutting-edge salon quality hair care and styling products. Salon inspired, stylist tested. 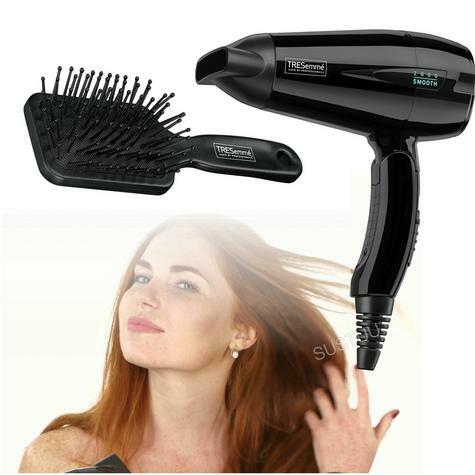 To help you create your own style and experience that salon feeling each day.